Our 6 studios are located in a 6 acres farm of the ‘KIMOLIA GI’ in Prassa. Each studio includes 2 living rooms, a dining room, 2 bedrooms and 2 bathrooms providing ample space along with the cosines of a home away from home. 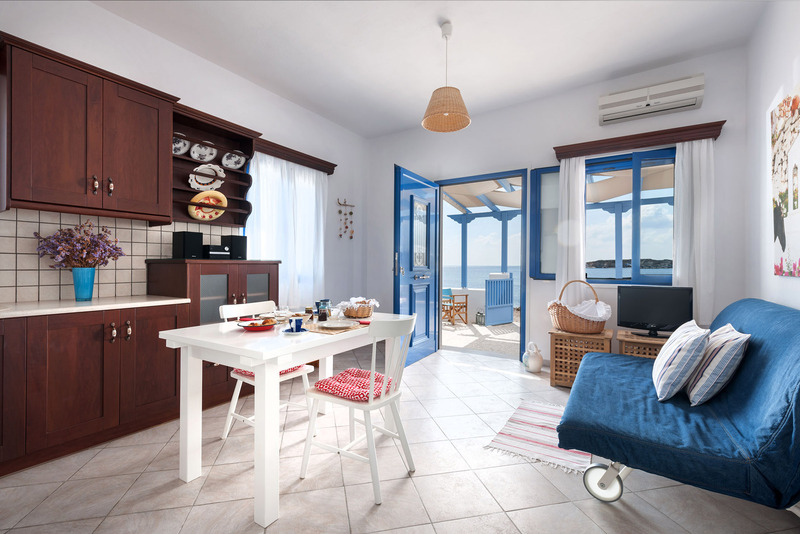 From the spacious studios’ balconies you may enjoy the view of the Aegean Sea and the Polyaigos Island. Two sunny detached houses, 50 m. from the ‘Prassa’ beach decorated in 60s style are ideal for families with kids. Their large terraces offer the view of the Aegean Sea and Polyaigos Island. 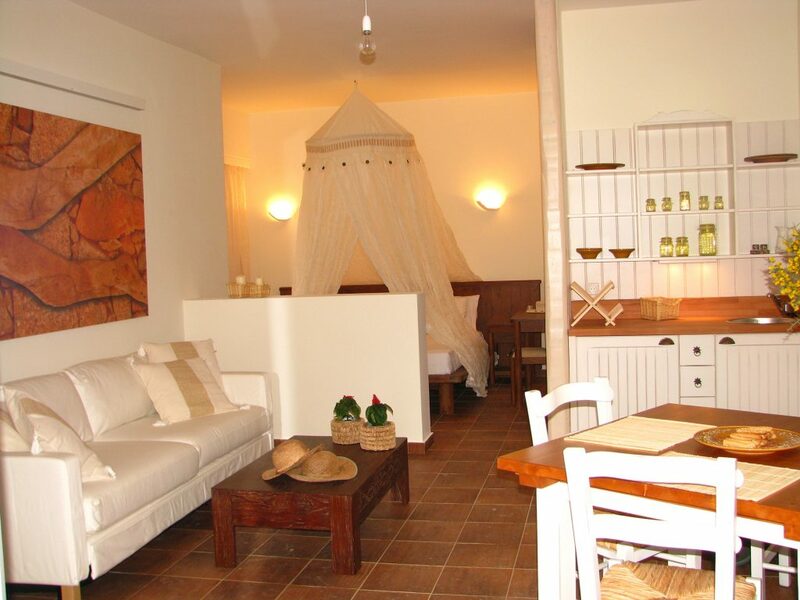 The little house at Zacharia, located literally by the sea, provides the ultimate relaxation. Its spacious veranda overlooks the sea which is less than 10m away.